Several pubs and bars in the city of London have dark histories of murder and suicide. But few have as dark a history as The World’s End on Camden High Street. A popular nightspot and music venue. 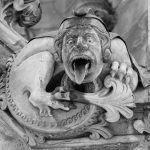 A history of bloodshed, torture and black magic resulting in hair-raising hauntings that are not for the faint of heart. Formerly known as Mother Red Cap and Mother Damnable’s, the first known reference to a tavern at this site dates to 1690. A time when the area was largely rural. With the tavern being in the country, proprietors depended heavily on trade that passed on the road from London to Highgate and Hampstead. At the time the tavern was known as a halfway house for both travellers and merchants. During its history, the building went through several name changes. In 1751, it was known as the Mother Red Cap and Mother Black Cap. The club we see today is compliments of Andrew Marler, a developer of licensed premises. In 1988, Marler bought the building and expanded it. As well as turning the downstairs in to The Underworld. A subterranean music venue showcasing both established and emerging musical talents. The building that houses The World’s End and Underworld has long been believed to be haunted by the ghosts of it’s macabre past. Some believe that the expansions made in the 1980s and 1990s, along with the energy of the music, may have breathed new life into some old ghosts. Creating the perfect paranormal storm. The dark hauntings said to happen in The World’s End and Underworld, can possibly be traced back to a local woman, Jennie Bingham. Or, as she was known in the area, Mother Red Cap. Mother Red Cap, was a nickname given to a woman for one of two reasons, either as a landlord. Or, it’s more sinister reason, because a woman was a witch. And Jennie Bingham may have been both. In life, Bingham, whose cottage stood on the site in the 17th century where the club no stands. She was known to live a life very few women would have dared to live especially in those days. She smoked, cursed like a shipwrecked sailor and reportedly had numerous lovers. Bingham, was also suspected of being in league with Lucifer and a poisoner of those she disliked. Back in the 17th century such charges could bring swift justice and the death penalty if proven. According to legend, when Jennie Bingham was on her deathbed, Satan appeared at her bedside to collect her soul. However, it appears the devil did not get his due, as the troubled soul of Jennie Bingham is believed to haunt The World’s End. Loud screams and blood curdling shrieks have been heard throughout The World’s End and Underworld. Loud bangs and footsteps are commonly heard by staff as they open for the day or close at night. The angry wraith of Jennie Bingham has been witnessed by both staff and patrons lurking about the club. She has been known to rush those unfortunate enough to see her and scream curses into their faces. 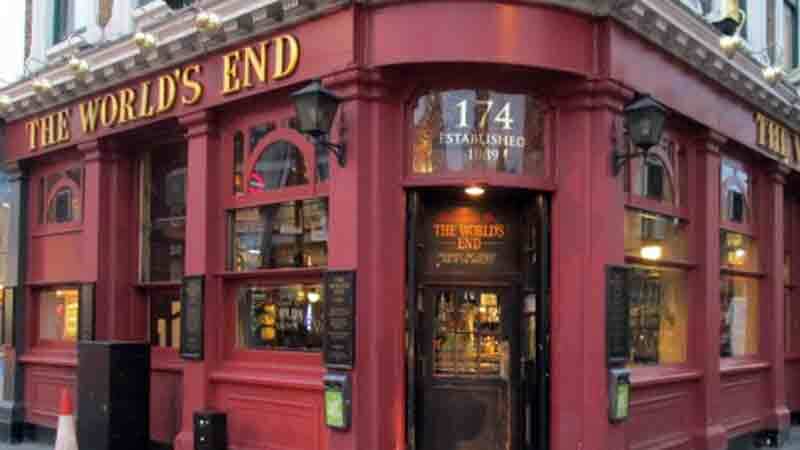 The thoroughly mad ghost of Jennie Bingham isn’t alone in haunting The World’s End. Victims of past torture are said to walk the Underworld. It’s alleged that the Underworld was once a torture chamber and gallows where criminals were sent to be tortured and eventually hanged. The tormented apparitions of bloodied and battered men have been reported in the darkened corners of the music venue. They watch from the shadows only to vanish when spotted by unsuspecting music lovers. The World’s End and it’s live music venue, The Underworld, may be a great place to have a drink with friends while listening to great music. Nevertheless, this popular hangout on Camden High Street is not for the faint of heart. Especially when the crowds go home. Mother Red Cap and her ghastly companions will no doubt haunt this building long after the music goes silent. Pengersick Castle, check it out for a haunted experience!Top 7 must-see London Cemeteries: How many have you visited?